Supreme Court Justice Pablo Llarena announced Wednesday in Madrid that on Friday morning he will formalize charges ranging from misuse of public funds, sedition and rebellion against Catalonia’s former president, Carles Puigdemont, and 27 other regional politicians and pro-independence activists. The charges are related to the defendants’ roles in Catalonia’s unconstitutional 1st October independence referendum and related events, including the Catalan parliament’s declaration of independence from Spain in late-October. At the same time, Judge Llarena issued a summons to six of the 28 defendants who are pro-independence politicians and who currently holds seats in Catalonia’s regional Parlament to appear before him in court in Madrid at 10:30am Friday to hear the charges against them. The six defendants summoned to appear by Llarena include a former minister in the regional cabinet and current candidate to succeed Puigdemont as Catalonia’s president, Jordi Turull, of Puigdemont’s Partit Demòcrata Europeu Català (PDeCAT) party (see related story); along with Marta Rovira, currently general secretary of the Esquerra Republicana de Catalunya (ERC) party; former regional assembly president Carme Forcadell (ERC); and former cabinet ministers Raül Romeva (ERC), Josep Rull (PDeCAT) and Dolors Bassa (ERC). Each of the six were previously called along with other defendants to give preliminary testimony, but because initial charges against them were less serious they were released by Llarena on bail pending formalization of charges. Four defendants previously called to testify before the judge on the more serious charges of rebellion and sedition were remanded into custody and are currently in jail awaiting trial outside Madrid. They are: former Catalan vice-president Oriol Junqueras, former cabinet minister Joaquim Forn, and pro-independence activists Jordi Cuixart and Jordi Sánchez, the latter also currently a deputy of the Junts per Catalunya (JxCAT) group in the Catalan parliament. That Llarena has now summoned Turull and the other five Catalan deputies to re-appear in court has led to speculation in the Spanish media that the six may now be charged with more serious offenses and likewise be remanded into preventive custody until the start of the trial. 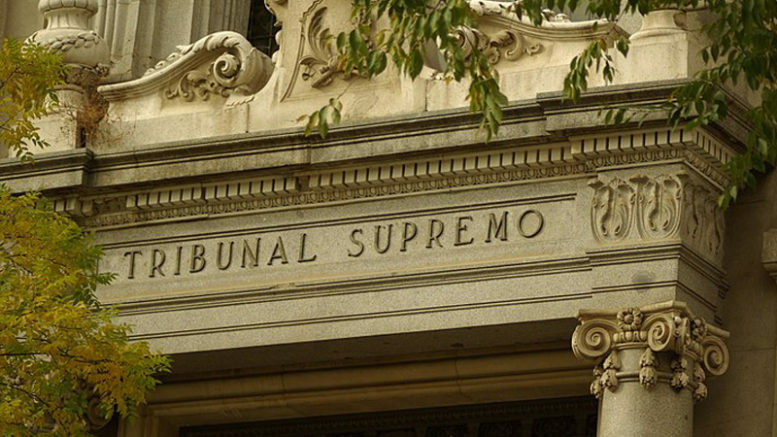 If the judge remands the six into custody and decides they are to be tried on the most-serious charge of rebellion, under Spanish law they will automatically be barred from serving in any public office — at least for the duration of the trial, but longer if convicted — and will therefore immediately lose their seats in the Catalan assembly. Puigdemont and five of the other 27 defendants in the case are currently fugitives from the Spanish justice system, having fled the country to avoid arrest after failing to respond to a summons to give testimony before the Supreme Court justice. In early November, Puigdemont and former Catalan cabinet ministers Antonio Comín (ERC), Meritxell Serret (ERC) and Lluís Puig (PDeCAT) fled Spain and are currently in Brussels; former minister Clara Ponsatí, an independent ascribed to the JxCAT electoral list, accompanied them to Brussels, but has since relocated to Scotland. A European arrest warrant against the four was issued by a lower court in Spain but was later retracted by Judge Llarena. After having been summoned to give testimony before Llarena in February, former Catalan deputy and leader of the pro-independence and anti-capitalist Candidatura d’Unitat Popular (CUP) party Anna Gabriel fled Spain for Geneva, where she currently remains. Spanish press reports have speculated that once Llarena formalizes charges against all the defendants, new European arrest warrants may be issued for Puigdemont and the other five fugitive defendants in the case.